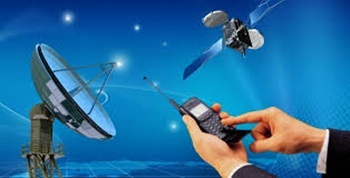 Roll-out of 4G technology with an increase in data, entry of new players in the market, the introduction of digital wallets and the popularity of smartphones leading to a consistent increase in demand for technology are likely to increase job opportunities in the telecom sector by 30 lakhs by 2018. "There is a need to bridge the gap in skill which on the one hand would require identification of skilled manpower in diverse roles such as infra and cyber security experts, application developers, sales executives, infrastructure technicians, handset technicians etc. as well as on the other hand re-skilling of existing manpower working on existing technologies for them to be updated with upcoming requirements." However, the industry recommended more targeted and specialised skill development programmes that would enhance existing manpower capabilities and availability to ensure the uninterrupted development of the sector as a whole. "TSPs (telecom service providers) have continued to invest in their networks and modernise their existing network infrastructure. Operators capital expenditure investments stand at Rs 85,003 crore during Q1 2017 and the below figure depicts the significant capital expenditure investment during the period 2012- 2016," stated the study.